It is often said that when a human being is surrounded by chores of work and gets caught in the web of life, the saviour is personified in the form of GURU (Perfect Master) and blesses the mortal beings. Bhajans (devotional songs) is one such blessing of the perfect master which sooths the ailing mind and body. 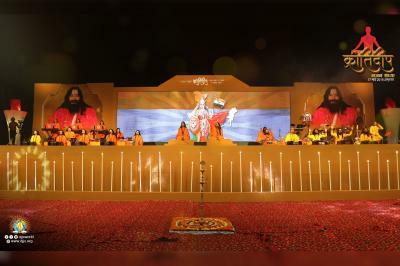 One such event ‘Bhajan Sandhya’, organized by DJJS (Divya Jyoti Jagrati Sansthan), did just that to the people of Patna, Bihar. 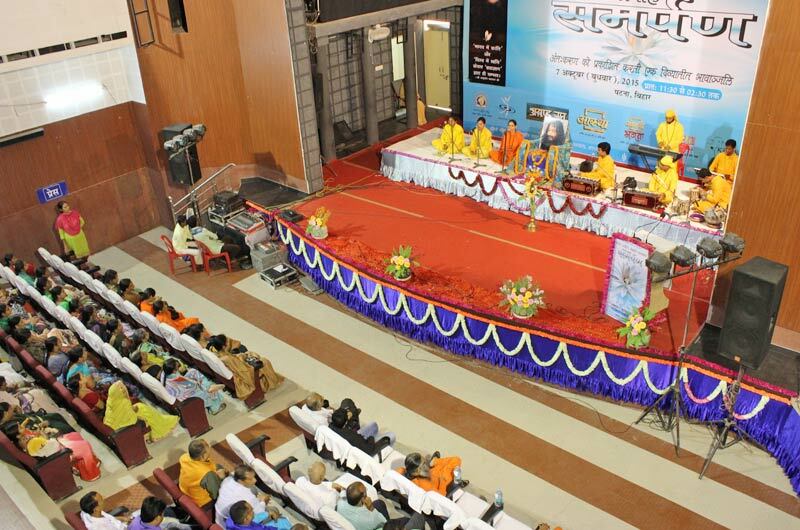 The event was organized on Oct 7, 2015 and made people experience the divine essence of that Eternal Being. 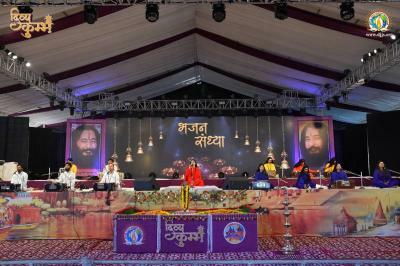 Theme of the program was ‘Samarpan’ which means complete surrender. In today’s world of fast food, fast communication and amidst hustle and bustle, the devotion has also become short-lived both in personal and professional life. 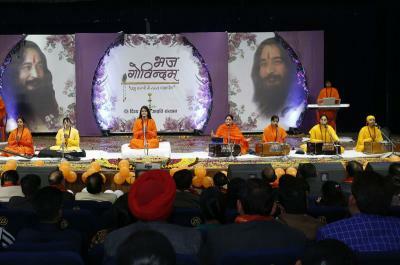 The congregation was enthralled by the inner meaning that each of the inspirational Bhajan evoked, rectified the definition of true surrender and its benefits to the human beings. 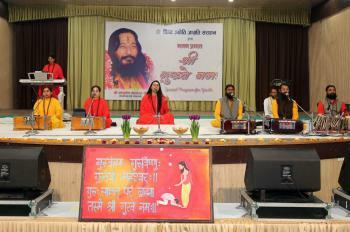 Exclusive Bhajans signifying the importance of Divya Guru, were sung by the disciples of HIS Holiness Shri Ashutosh Maharaj Ji, convenor of DJJS. Disciples of HIS Holiness Shri Ashutosh Maharaj Ji explained the meaning of Bhava (inner feeling) which is the quintessence (purest and most perfect form) of Bhajan singing. The essence of Bhakti and Devotion is expressed through Bhava (inner feeling). Only a Bhajan (prayer) sung with full Bhava (inner feeling) can melt the heart of the lord. It is the cry of devotee with deep yearning (compassion) for the lord that moves HIM and forces HIM to descend. The audience was mesmerized by the same and was literally in awe. Amidst the cacophony of daily life, Bhajan Sandhya came across as the fresh air full of fragrance of divinity and compassion. Audience looked relieved, happy and full of enthusiasm. By listening and singing to the intense yearning for the Lord, the audience felt connected to the powerhouse of positive energy. The Bhajan Sandhya touched and moved every individual to its core and forced them to think about the ways to enjoy that calm feeling every second of the Day. ‘Brahm Gyan’ is the solution and provided the perfect platform to do that. Audience seemed to be happy, contented and calm at the culmination of show. Everyone appreciated the selfless efforts of DJJS to provide this knowledge for the benefit of the human beings.